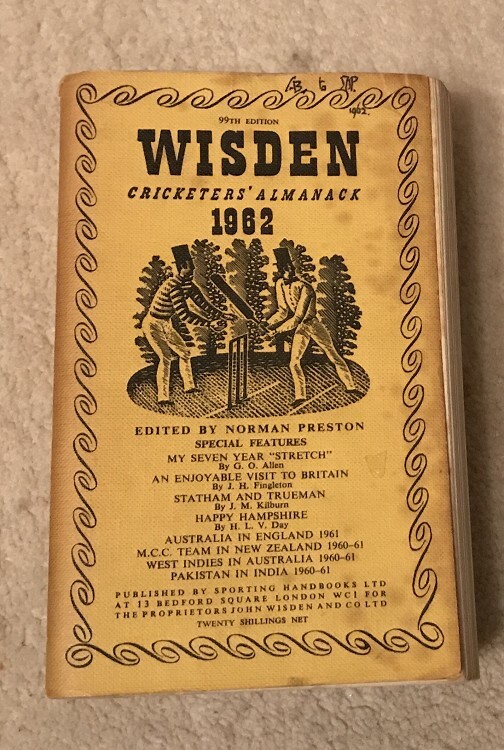 This lot is a 1962 Original Linen Wisden. It is in OK condition. The front cover has some spotting to the right hand side with a small price and date in ink to the top , the rear cover is very nice and there is some bowing to the spine. Internally the pages are nice and clean , odd bit of thumbing but decent enough.